Earlier this year, the Indian School of Mines finally received approval from the Government of India to turn into IIT Dhanbad. And this is bringing great joy to the people of neighbouring Bihar as well. Sonu Kumar Adarsh, 26, is one of these people. Having graduated from this institution in mechanical engineering, he feels it's great that after a 21-year-long process, his alma mater will finally get the IIT status it deserves. 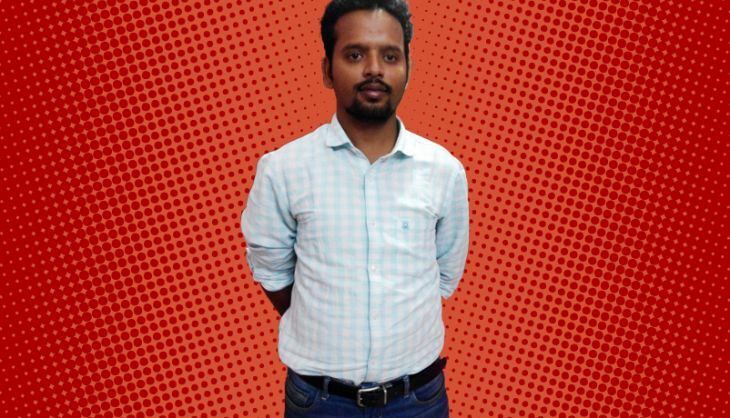 After graduating, Sonu joined a private firm in Raipur, Chhattisgarh, on a handsome salary. But he realised his calling was to be an entrepreneur. And so, with two of his fellow ISM graduates, he started up a firm called Farms and Farmers in his native Bihar. It's now been five years since the company started, and it's doing good work in providing the benefits of scientific research and proper marketing to marginal farmers. For Sonu, it's been a fulfilling journey. "Bihar was definitely not an entrepreneur-friendly zone but I could see the state changing, and decided to work for it. 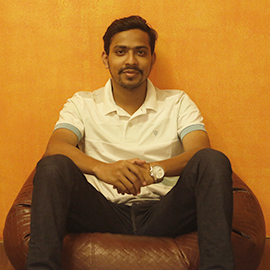 "Initially, during the first months with FnF, I was making around Rs 4,000 per month. My parents thought I had gone crazy to take up a job which paid peanuts. But I knew that combining agriculture with entrepreneurship would lead to a massive agricultural growth in this state." Speaking about the assembly elections, there seems to be no doubt in Sonu's mind that Nitish Kumar did a great job as Chief Minister. Excerpts from our conversation with him. What brought you back to Bihar? Since my college days, I had wanted to start my own firm. I decided to work with Manish sir and Shashank sir, who had started Farms and Farmers. And since Bihar is growing, I took a calculated risk to come back and contribute to this state with our start-up. Since you are related to the agricultural business, tell us - what's the reason why many so farmers in India commit suicide? State government don't have data about marginalised farmers working for land holders. The schemes which are made for such farmers always go in vain. With no beneficiaries and overloaded loans, farmers are forced to take such steps. If I just say the government is responsible for this, it would be a very generic answer. But in reality, there is a need for a proper channel of communication. There is a massive communication gap between farmers and the government. Farmers don't have back-up plans for natural disasters, including floods and drought. We work with them to help them understand the proper ways to farm. But without the government's help, one can't reach out to the entire population of farmers. How do you rate the Bihar government's work in the agriculture sector? The Bihar government has done a fantastic job. For example, the production of maize crops has already increased three times in comparison to other states. The icing on the cake is that Bihar has no cases of farmer suicide. Between Nitish and Narendra Modi, whose model for development would you pick? Nitish Kumar is a true role model. His hard work to maintain communal harmony and development programme makes him a social engineer. Modi is good for the nation, but I can say that Nitish's work is admirable. So why would we want to derail the development wagon? The only deterrant is the RJD-JD(U) alliance. It definitely pushes us back to the 1990s when the elections were all about caste-based voting. As far as the Modi government is concerned, it is still new and has a lot to do. You can't judge its performance on the basis of a year-and-a-half. What is your dream for Bihar? People use the word 'Bihari' in a negative sense. All I want is for it to be used as an identity, not a curse word. Read more from our #PeopleofBihar series: Bihar's Brahmins ask: why is our vote taken for granted?